Times have spurned Om Prakash Sharma. Om completed his engineering from a private college in UPTU last year. At the time of admission, he was told by the college authorities and admission counselors that the college had an excellent placement programme. However, being from a modest background, he could not afford the exorbitant fee of the college. To solve this problem, the college had invited several banks to the campus to disburse education loans to needy candidates swiftly. This was done to help students financially. Om also applied for an educational loan and his application was accepted without delay. Though being under such a debt was a burden, he was convinced his college will come through after four years with a holistic placement campaign. He was about to learn a harsh lesson about education in India. The college fell flat on its face as far as placements were concerned. Nearly three quarters of Om’s batch were left without jobs after four arduous years of engineering. Currently, Om works in a data entry job for a measly salary which barely meets his needs. To top of his misery, the bank officials keep calling him regarding repayment, something he simply cannot afford. As collateral for the loan, Om’s father had given his farm land. Farming was his only source of livelihood. Even after various requests from Om, the bank seized his father’s land. Now his father remains unemployed while Om asks himself the same question every night before going to sleep: Where did I go wrong? As sad as this tale might seem, it is all too common amongst students in India. Noida-based entrepreneur Amit Gupta attributes this trend to misinformation amongst students from small towns and villages. 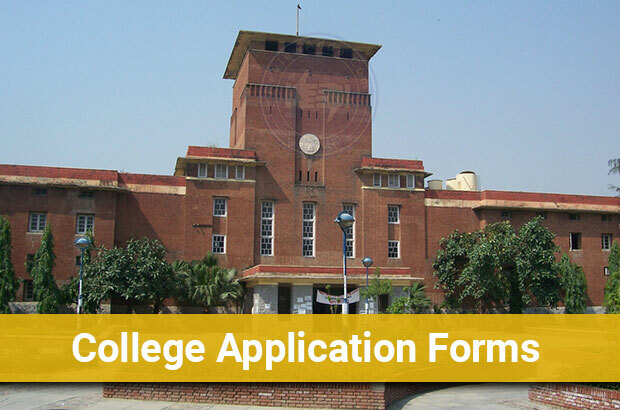 The process of college admissions in India usually begins with the release of college application forms. Although most colleges have made online college registration available, there are still a few colleges and universities who keep the option of applying offline open. The steps involved while applying for a college are tabulated below. Study details about the college and make up your mind before filling college application form. Read every detail about the college and make sure you are convinced about the credibility of the college you wish to apply for. Locate an examination centre where the application form of the given college is available. Payment in online form can be done through Debit/Credit card or Net Banking. Payment can be done though cash, DD or challan. After filling the application form, the admit card is made available. Candidates who apply for college offline usually get their admit card through post, while online applicants can download their admit cards. Most undergraduate courses in India commence their intake cycle in the fall every year. The time period for undergraduate admissions is usually in the months of July and August. Engineering admissions are usually conducted on the basis of entrance exams conducted centrally by the government of privately by accredited universities. Engineering college application forms for these entrance exams are made available three to four months prior to the examination. For e.g. JEE Mains is usually conducted in April and application forms for the exam are released at the end of the previous year. Application forms for the colleges accepting JEE Mains as a criterion for admission are made available after the declaration of results. Other undergraduate courses in medicine, management, and humanities follow a similar procedure. Due to admissions taking place only once a year, the months leading up to July and August are crucial for candidates. 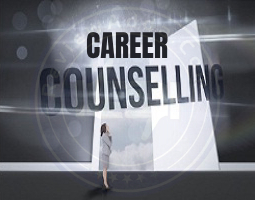 Postgraduate courses such as MBA and PGDM have intake in the winter and the fall. This implies intake happening twice in January and July. Thus, MBA admission forms are released multiple times every year. Like engineering admissions, most MBA admissions are also done through entrance exams conducted centrally and privately. While CAT, a central exam conducted by the IIMs is held only once a year, exams such as MAT and GMAT are held around the year to incorporate multiple cycles of intake. While MAT is held four times a year, GMAT can be given on any date based upon the convenience of the candidate. Government bodies such as UGC, NAAC, and AICTE are essentially bodies which keep track of universities and colleges in India. Any college is India should be recognized UGC in order to operate legally. Thus before applying for any college, make sure it is recognized by UGC. Besides UGC approval, technical institutions in India have to be recognized by AICTE. Students pursuing courses such as engineering, BCA or MCA should make sure the institute they are filling college application form for have been certified by AICTE. This is a criterion which differentiates genuine colleges from phony ones. The National Assessment and Accreditation Council (NAAC) is another government body which ranks higher institutions in India. Nearly all top universities in India are accredited by NAAC. Thus, if a college does claim to be one of the best in the country, don’t forget to check whether they’re accredited by NAAC or not. 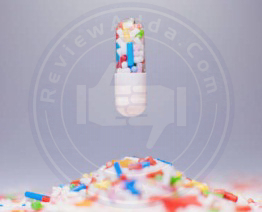 Many students fall prey to the guerilla advertising campaigns colleges organize during the time of admissions. These campaigns are typically littered with tall, unsubstantiated claims about the college’s placement record and infrastructure. This type of a campaign lures many students into filling college application forms of these institutions. The sad part is that most of these claims go unchecked and unrivaled. To allay this problem, students should verify the claims made by colleges before filling application forms. These claims can be verified through many sources such as online forums, alumni reviews, MHRD ranking and magazine reviews. As mentioned before, there is no place for naivety while filling college application forms. Consider this advice only if you fail to get admission in top government institutions. If you’re living in Delhi and you get offered admission in IIT Madras, the answer is a no-brainer. Certain colleges are worth traveling the length of the country for. Besides top government colleges, there aren’t many colleges which are worth leaving your home for. For e.g. 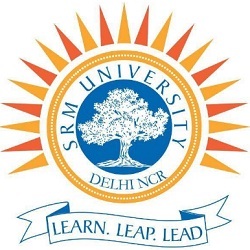 if a student from Chennai gets admission in SRM Chennai, the option is worth considering. However, a student from Delhi going all the way to Chennai for SRM makes little sense. This doesn’t mean SRM is a bad college, but simply not worth spending four years away from home. 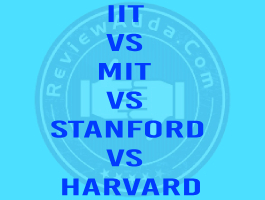 There is a lot of confusion regarding the first and second tier colleges. While listing all colleges in not possible, some of them have been tabulated below. Some colleges and universities might have been missed in both categories, but one does get the idea. Coming to the underlying issue, many students make the mistake of taking education loans for admission to Tier 2 colleges. Institutions such as Amity, SRM, and VIT charge a fortune for a standard degree. To cope with this problem, many students feel obliged to apply for an educational loan to fill the gap. While nobody is denying these colleges’ credentials, taking the gamble if an educational loan carries a hefty downside if things go sour. 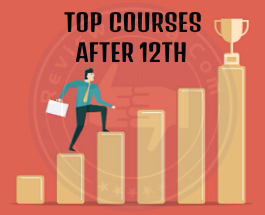 Thus, while Tier 1 colleges guarantee a cushion into professional life due to a high status in the industry, Tier 2 colleges tend to struggle a bit more. Thus, if possible, avoid taking an educational loan for Tier 2 colleges. If there is no other choice, it is still better to settle for a lower college with manageable fees. Sometimes, despite all the precautions you make take before joining a college, things may turn out to be dour when you finally join. In the anecdote mentioned earlier, Om knew the college he joined wasn’t up to the mark within a few days of joining the college. Instead of listening to his intuition, he buried it deep inside and suffered eventually. Every tragic tale leaves behind an important lesson to learn. In times of doubt and uncertainty, intuition is a man’s best friend. If upon joining a college you feel something fishy or dodgy about the college’s claims, it is not too late to leave. Wasting a pile of money over four years is worse than wasting a quarter of that during one. This advice is especially important for students studying on a college loan. Getting buried in an avalanche of debt for a mediocre college is nothing short of disastrous. Filling college application forms is the first step towards taking admission to colleges in India. In some cases such as engineering and medicine, college application forms are essentially entrance exam registration forms. Often, students make mistakes while filling these forms such as filling incorrect information, attaching an unclear photograph or entering dubious information. Here are a few points you should remember while filling a college application form. The college application form is a document which carries a lot of clout while determining the chances of you getting admission. Entering false information under categories such as 10th marks, or entering the wrong age to be eligible for admission are amongst the cardinal sins during college admissions. Often times colleges black mark students entering wrong details knowingly. Black-marked students cannot pursue admission in other colleges either. Thus the price of using wrong information is too risky for any serious aspirant. Online college admission registration forms have ended the hassle of filling and posting forms physically. Most entrance exams forms are now made available online three to four months prior to the exam itself. While filling these forms, a passport size photo has to be uploaded along with a picture of the candidate’s signature. Instead of scanning a passport sized photograph, many students sometimes crop old photos instead. This often leads to college authorities rejecting the application altogether. Make sure the photo you're uploading is genuine. Additionally, the photo to be uploaded cannot be more than a certain given size. Every exam has its own separate limiting size. While uploading the picture, make sure the photo meets the set standards. The advent of online application forms has also introduced online payment modes through debit/credit cards and online banking. The advantage of using online payment modes is simple: less hassle and faster transaction. Furthermore, many institutions are increasing registration fee for offline payment. This is another added incentive to use online payment modes. Many websites act as black hat college portals which siphon personal information from students and sell it to the highest bidder. This practice is known as data bidding. Many advertising agencies buy this data and gain access to your personal information. Due to weak cyber laws in our country, this process is technically not illegal. This gap in our laws is fully exploited by phony websites. This data can also be bought by shell colleges who often deceit gullible students into spending vast sums of money for a college which doesn’t even exist. This is especially common is distance learning courses where students can apply for college online. To avoid this problem, make sure you fill the college application form on the college’s official website. One of the most illustrious institutions of our country, the IITs have been accepting applications online for a long time. Students often waste a lot of money applying for a voluminous number of colleges. Ideally, you should only apply for colleges you deem worthy of taking admission in. Do not consider a far-flung college as a backup option. As mentioned above, compromising for a Tier 2 college can sometimes carry a very hefty price. Always aim for the best colleges which promise a much better future. On an average, filling 3-4 application forms is enough during college admissions. The nervousness of filling the all-important college application form grips many students every year. Amidst this confusion, students often enter incorrect details under some headings. This can prove detrimental as many colleges don’t allow refilling of the application form. Thus students should be calm while filling a college application form. 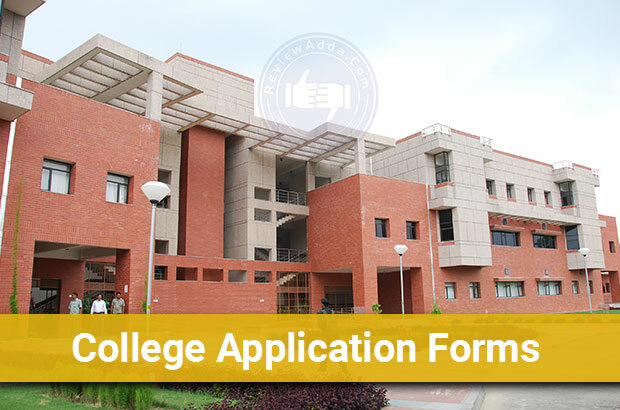 Follow the college admission form format for successful registration. Indian students are renowned around the world as pioneers and innovators. From Sabeer Bhatia to Sundar Pichai and Satya Nadella, Indians have constantly been regarded as top-notch professionals around the world. With such an impressive international standing, one can’t help but wonder why the educational setup in India itself at an ebbing since the last 40 years? Ignoring for a moment the dubious nature of shell colleges in our country, the supposed lack of introspection by any government post-independence has led to the tragic capitulation of our education system. Reforms such as reform in the change in school curriculum and centralization of universities have been kept on the back-burner in favor of other political issues. This is surprising considering our country’s obsession with education and marks. While the IITs, IIMs, and NITs have gone from strength to strength, but their intake has simply not increased proportionately to their demand. To fill this void, private colleges have sprouted up across the country. There is only one problem with this trend: lack of supervision. If the government acts as a bigger brother to new private colleges and guides them through the process of becoming a top draw institution, India will become host to some of the world’s best colleges. However, what we have are colleges being run autonomously with zero supervision and a complete lack of control. Though certain boards exist to keep colleges under check, the sheer number of colleges makes it an impossible task. This has resulted in the unabated rise in the number of enrollments in such private colleges. As things stand, the situation seems very dire. The IT revolution merely papered over the cracks which have been inherent for a long time. The only way the situation can be rescued is by the government stepping in. However, seeing no sign of any such change coming, being despondent about the state of our education system seems very appropriate. The depressing story of Om Prakash Sharma elucidated earlier is not a singular occurrence. Many students across India have come under severe debt after pursuing education from sub-par private colleges. Private colleges of India: For-profit or non-profit organizations? When a company does not perform, the employees face layoffs. When a college fails to deliver, the students face a dour future. Education in its essence simply cannot be for-profit. Such an amalgamation is morally questionable and theoretically wrong. However, colleges who claim to be non-profit despite for-profit are the absolute pinnacle of decadence. Many private institutions in India have reached this pinnacle as well. The question is not about the morality of making profits. Every business in the world is supposed to make profits. However, the idea of an organization supposedly established to impart knowledge to be more focused on raking in profits is contemptible and wrong. This vicious cycle of colleges operating without any supervision will eventually become the downfall of India. A recent survey amongst public sector bank showed an increase of nearly 142% in bad loans. The loans have been deemed as non-performing assets (NPAs) by the banks. Most of these NPAs are students without jobs. This is a single largest metric which should wake up the government. 90% of the increase in bad loans has been attributed to educational loans. The greatest burden the youth of our country can be under is a massive financial debt. A stable country like the US which has an amazing approach to primary and secondary education has been dented by the rising number of education loans and students under debt. If a developed country such as America is facing is the burden of bad loans, what proposition awaits the fate of Indian students? We'll know in good time. I took managment addmission i choose becouse this is cheapest college in Bangalore. Placement in college is very bad almost no company is coming for final year student.